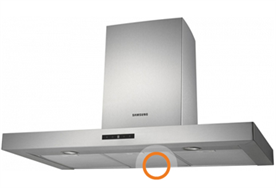 We are an authorised Samsung distributor and offer a wide range of original built-in appliances such as original refrigerators, ovens, extractors and hobs. If we have the desired part in stock, we will ship it to you the same day. We have more than 300.000 original Samsung parts available in our warehouse in Arnhem. You can order built-in appliances by entering the model code in the field above. 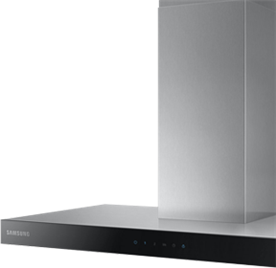 You always need a model code to place an order on Samsungparts.eu. This code is essential in order to find the suitable appliance. On... , the model code is often... and is a combination of letters and numbers. Enter the right model code in the grey bar above, then select the right part on the product page. Do you need advice or help finding the right part in our web shop? Our Support Desk staff are happy to help! Refrigerator: : is your built-in refrigerator defective or does a part need to be replaced? Order the part that needs to be replaced in our web shop to repair your refrigerator. Oven: : is your oven's housing due to be replaced? In our specialist web shop, you can find oven racks, handles, knobs and light bulbs as well as other oven parts. Extractor: we recommend replacing the extractor filter regularly to ensure the airflow from the extractor does not become blocked by dust or oil. Hob: : is the control panel on your hob defective? Order a 100% original control panel in our web shop so you can heat your hob again. Dishwasher: are the spray arms, drainage hoses or filters of your dishwasher clogged? If so, dirty dishes may not be cleaned properly. We recommend checking the filters and drainage hose regularly to prevent them from becoming clogged.